You’ve probably heard the saying, “in real estate it’s location, location, location”. Where did the visitor come from: an AdWords ad, an organic listing, another website, an email, etc.? Exactly what did the visitor type in the search box that caused them to see your ad? Are they using words like “free” or “red” when all you sell are “blue”? How were search queries linked to keywords? Did the visitor just look at the landing page and “bounce” or did they look at several pages? How long did they spend on your website? Did they visit a specific page you wanted them to see? Did they take an action you wanted them to take? Are they a new visitor or have they been to your website before? Knowing the answers to these and many other important questions is all possible by implementing web analytics. I like to refer to it as “peeking behind the curtain”. Web analytics are a very powerful tool, but it does require some additional work. It’s not a requirement, but it is very helpful when it comes to optimizing your AdWords campaigns. And one more thing, here is another ism I like which is very appropriate. “You can’t improve what you can’t measure”.Web analytics is the tool that allows us to measure. OK, so how do I get web analytics? It involves using your webmaster to put a few lines of Java code on each web page of your site. This code sends data on visitor behavior to a data base which can be queried to provide valuable information about how well your campaign is performing. Google Analytics is not the best web analytics application, but it is pretty good and best of all, it’s FREE. If you want your prospects to find your website when they use search engines like Google, Yahoo or Bing, there are two ways you can make that happen. 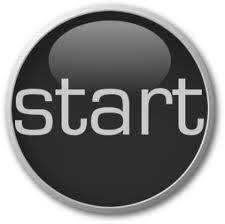 The first way is called SEO (Search Engine Optimization) and the other is called PPC (Pay-Per-Click). The page you see immediately after you enter your search query and click the enter button is called a Search Engine Results Page or SERP. The listings at the top left are called “Ads” and the way you get your website listed there is by having a PPC advertising campaign using platforms such as Google AdWords and Bing Ads. The listing down the left side of the page, under the Ads are called “organic” or “natural” search results. The way you get your website listed here is by performing SEO. There are pros and cons for each and a serious internet marketer will use both techniques to increase the chances of getting a prospect to visit their website. They want all the “real estate” they can on the SERP. Here are a few comparisons I think you might find interesting. SEO – There is usually an up-front cost and then an on-going monthly cost. The cost variables have to do with the number of keywords and the amount of competition that exists for those keywords. The more competition there is for a keyword, the more work there is to perform; content creation and link building. It usually takes anywhere from 3-6 months to see the results you are looking for, meaning a first page ranking for your most important keywords. The advantage of SEO is that once your webpage has been indexed by the search engines, you don’t pay anything when someone clicks on your listing and is taken to your website. This is particularly advantageous when you tend to get a lot of “shoppers” and relatively few conversions; i.e. a low conversion rate. Another example where SEO has an advantage is when you have a “long-tail” keyword, which gets the status of “Low search volume” in AdWords. However, remember that it can take 3-6 months to achieve a first page ranking for your most important keywords and during those months you are still paying a monthly fee to the agency in addition to any up-front costs. Your on-going cost is to keep your ranking or improve your ranking, as well as adding new keywords. If you don’t pay the on-going fee to maintain your rankings, your listing will begin to slip away. Here is an analogy I often use. SEO is like sitting in a boat with a hole in the bottom. As long as you keep bailing, you stay afloat. But the moment you stop bailing, you slowly sink out of sight. I have spoken and worked with several SEO experts. Most people / agencies will not take on a new SEO client for less than $2,000 per month in fees. The point being, this investment is not to be entered into lightly. One misconception many business owners get caught in, is not understanding what keywords are actually valuable to their business and will deliver conversions. Most agencies, especially the ones who make unsolicited telemarketing calls to your business, will claim they can rank your website on the first page. Period. They won’t tell you for what keywords or they will only divulge keywords that are relatively easy to rank for. Buyer beware. PPC – Some agencies charge an up-front fee and then a monthly maintenance fee. The monthly fee is derived from the monthly click charges (10-20%) or the number of keywords in your account or some other arbitrary amount. This is where my business model is different than most other PPC agencies. I charge by the hour. See my article on How much will it cost for more information. With this type of a business model, it’s important to understand that most of the work that will be required to get you where you need to be, is done up front and therefore you need to be prepared for higher initial costs than you would otherwise see with a different business model, such as one that is based on ad spend. Most companies who perform PPC management won’t tell you that if you design a PPC campaign correctly and perform the initial fine-tuning properly, it requires very little ongoing maintenance. This is one reason why I’m not a proponent of charging clients an ongoing monthly fee based on their ad spend or number of keywords. I do not want to be motivated by you having to spend more money. I want to be motivated by results and you being pleased with my work. And if for some reason, our efforts get sidelined due to unforeseen circumstances, you shouldn’t have to pay me for doing nothing. I have many clients I’ve not spoken with in over a year. During that period, they paid me nothing. Yet I was always available if they needed me. SEO – There is a subtle difference in the way these two methods are performed. With SEO there is a presumption that you already know the keywords that will produce the best results. This is not necessarily a good assumption. How do you know what the best keywords for your business really are? What if the wrong keywords are chosen? You could waste a lot of time and money if you choose incorrectly! Also, the list of keywords is usually small compared with the number of keywords in a PPC campaign. Generally speaking, the procedure for getting ranked organically has to do with two things; on-page and off-page characteristics. Ten years ago, getting ranked organically was mostly about on-page factors. Today it’s only about 10% on-page and 90% off-page. The number of keywords for a small business SEO campaign is about 5-25. 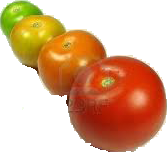 On-page refers to the content and meta data on any given page. Although meta data is becoming less important as search engines get smarter. The more content you have relating to a specific keyword phrase, the higher your rank will be for that page. Off-page refers to other websites that link to your website. The best scenario being a hypertext link with the text being the actual keyword you want to get ranked for (known as anchor-text), coming from a website that has a higher page rank (PR) than your website, and without a reciprocal link from your website back to the other website. PPC – With PPC, determining the keywords that deliver the best performance is an inherent part of the process. Keywords that don’t perform well are deleted or have their bids reduced and keywords that produce better results are bid into higher positions. A significant portion of the work done to build a PPC campaign is keyword research. Various tools are used to identify words and phrases prospects use to search for your products. However, if a client has an existing campaign, even if it was under-performing, it can be a virtual treasure chest of valuable information. When you consider all the different keyword matching options and the use of negative keywords, the total number of keywords in a small business PPC campaign can be a few hundred to as many as a few thousand. In my own AdWords account I have fewer than 50 keywords, but well over 5,000 negative keywords! With both SEO and PPC, the ranking of your listing is determined by a computer program called an algorithm. These algorithms are always changing and these changes will affect the rank of your listing or ad. An astute account manager will be on top of these changes and adjust your campaigns accordingly. SEO – Because the amount of work required for each keyword involves creating several paragraphs, if not several pages of content, as well as link building, there is a constant backlog of keywords to work on. In addition, one of the critical elements of the SEO ranking algorithm is the age of the content. It is critical that the agency constantly update the content associated with every keyword or the rank will begin to fall. PPC – Once the keyword research has been done, the campaigns, ad groups and ad copy have been developed and launched, the process of what I call “fine-tuning” begins. One important misconception many business owners have is the importance of the fine-tuning process. I estimate the amount of work required to get a PPC campaign to a mature state is about 60/40% in favor of fine-tuning. The more keywords in the account, the more work will be required. Some keywords are clearly more important than others. In addition, an astute account manager will undergo a process of ad copy split-testing. Ad copy is so significant it can make a 50% difference in the CTR for any given keyword. Generally, I will go through 3-4 rounds of split-testing for each ad group before arriving at the one that remains. SEO – Most agencies will tell you it will take 3-6 months to achieve a first page ranking for your best keywords. The time required to actually perform a good portion of the work may only take a few days, but you are at the mercy of the search engines indexing schedule to see a change in the ranking. PPC – Depending on how the agency schedules their work, it should only take a few days to begin to see results once the work begins, but it varies greatly from one client to another. Depending on the implementation schedule, number of keywords and the amount of traffic, it will take additional time to bid each keyword into the appropriate ad position and uncover new negative keywords not found in the development phase. How do you know if your investment in search engine marketing is paying off? What is the ROI? SEO – There is nothing inherent in SEO that answers this question, although most agencies provide reports that show where your website ranks for specific keywords. But where is the beef? How many new leads or sales did you get for the money you spent on SEO? In order to answer that question you will need a separate application such as web analytics or a shopping cart application. Something that can tie a specific visit from a search engine visitor to a meaningful action on your website. This action is generally called a conversion. If you don’t have some mechanism to perform this function then you are doing little more than rolling the dice and hoping something good will happen. PPC – The entire PPC campaign management exercise is devoted to measuring results and making adjustments to improve performance. All major PPC service providers include conversion tracking as a standard feature. However, it is up to the website owner to create meaningful actions visitors can take on their website and install the conversion tracking code properly. One issue I see all too often is how an advertiser has implemented conversion tracking in AdWords. They tend to use it more like a scorecard than an optimization tool. See my article titled PPC Implementation Strategies for more information. In addition to conversion tracking, there are other useful metrics that can be used to determine how well your campaign is performing. These include things such as Click-Through-Rate (CTR) for keywords and ad copy, Cost-Per-Click (CPC) and search term quality. SEO – There is an inherent lag time because you are at the mercy of the search engines ability to find the content on your website or on another website that links to yours. This makes it difficult to change the way your listing reads and your ability to add new keywords (products & services). This can be especially challenging if you deal in seasonal items. PPC – Ad copy can be changed and new keywords can be introduced in a matter of minutes. Entire campaigns can be turned on and off like a light switch. Campaigns, can be set to run at any time of the day or night, and any day of the week. Unless you are an expert in SEM yourself, you will be entrusting your on-line reputation and investment to the agency you chose. This comes with a certain amount of risk that you should be aware of. SEO – Remember I mentioned that your ranking is determined by computer programs called algorithms? These algorithms are the search providers secret sauce and they go to great lengths to keep them a secret and to insure that ingenious individuals don’t use nefarious practices to game the system. Otherwise known as “black hat techniques“. These techniques may catapult your ranking in the short run, but if detected by the search providers, could get your website banned from future search results! Many innocent companies have awakened to find themselves out of business online because of the actions of an unscrupulous SEO consultant. PPC – There are also rules and guidelines for creating PPC campaigns, but breaking the rules usually results in the temporary suspension of a keyword, ad group or individual ad. As with SEO, blatant failure to adhere to Google’s policies will result in account suspension and eventual banning from the AdWords program. Perhaps the biggest risk with PPC is whether it ultimately produces a profit. Just as with SEO, you have professional fees to create and manage your account. But with PPC you have the added expense of click charges. There is no guarantee that PPC will work for every product and every business. There must be enough profit margin in any given sale to cover the costs of your campaign, just to break even. This is where I’d like to borrow a very good model coined the Tactical Triangle, from my friend Perry Marshall. I describe it in my post titled PPC Essentials. If you have any question as to whether AdWords will work for your product or service, you must read this post. 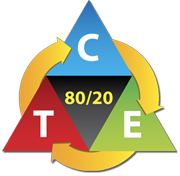 If you are serious about knowing if it will work for you, then you need to be prepared to make a commitment to perform an adequate test. The cost to perform the test is determined by the amount of agency fees and click charges. I recommend you budget 300-500 clicks to perform an adequate test. To get a feel for the amount of consulting fees, see my article on How much will it cost. This refers to your ability to include or exclude visitors to your website from search engines based on where the searcher is located. SEO – It is not possible to geographically target your ad using SEO, unless you add a geographic qualifier in every keyword, such as “dallas widgets” versus simply “widgets”. When you optimize your website, you are optimizing for the entire country and competing with everyone else for the same keyword phrase. How many surrounding towns would you have to include if you were to geographically qualify every important keyword with every town you wanted to serve? That said, search engines, like Google.com are getting better at knowing where the user is when they search. This is becoming a bigger and bigger factor in whose ad is displayed for any given search. PPC – If your business serves a local market, you can use campaign location targeting that is as precise as a few miles. AdWords is also smart enough that if for example you targeted your campaign to just Dallas, TX with the keyword widgets, it would also display your ad to someone in Los Angeles searching for Dallas widgets. I’m talking about how effective the words are that appear on the search results page. Do they create a compelling reason to click on your listing versus your competitor? SEO – The search results from an organic search (the results that are produced from SEO) often contain text which is sub-optimal from a marketing perspective, unless you have a very competent SEO person. Searchers often see sentence fragments with less than compelling text. The listing is typically a portion of your meta “description tag”. PPC – With PPC the advertiser has a great deal of flexibility with the ad copy. It can be tested, tracked and modified in a matter of minutes to improve performance. SEO – SEO firms always talk about being “on the first page” and most search results pages have 5-10 organic listings. Agencies will feel as though they have been successful even if your listing is at the bottom of the page, “below the fold”, meaning the searcher is required to scroll down to see the listing. Ninety percent of searchers don’t look beyond the first page and 60% don’t even scroll down the page. The idea of being in the top three positions is usually very difficult for popular keywords. PPC – The whole process around PPC is based on maximizing ROI (Return On Investment), so given that ad ranking has a lot to do with the cost per click (CPC), ad rank is very important and unique to each keyword. For my own PPC campaign, I have some keywords I want to rank in position two or three and others I want to appear in position five or six. When you pay by the click, you look at every keyword as if it were an employee. Some employees are more valuable to your business and therefore you pay them more. 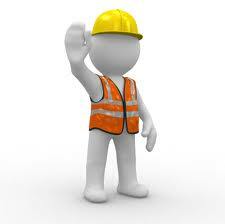 This refers to the need to actually modify your existing website to improve the campaign performance. SEO – Earlier I described the initial work required to perform SEO. A big part of performing SEO has to do with modifying and creating new content. 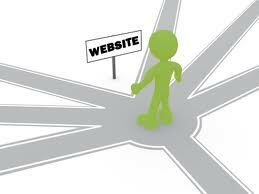 Therefore, you will need to give the SEO firm access to your website. One classic challenge you face with SEO is that the copy that the search engines like doesn’t usually appeal to prospects. It just doesn’t sound natural or provide compelling sales copy. PPC – No website modifications are necessary to have a PPC campaign. However, that’s not to say that your campaign can’t be improved by making website modifications. One of the important elements of the quality score algorithm is landing page quality. Landing page quality has to do with the relevance between the keyword, ad copy and the content of the landing page. For example, if your keyword is “apples”, then Google wants to see the word apples in your ad and content on your landing page that’s all about apples and not oranges or fruit. Building a successful PPC campaign is an on-going process. In almost every case I get to the point with a client where the biggest inhibitor is the website. It might be that it needs customized landing pages that are highly relevant to the keyword and ad copy or the website needs a facelift because it doesn’t sell as effectively as it could. However, these are the very same characteristics that would affect the performance of an SEO campaign. In some markets it’s very difficult to differentiate yourself in an ad or description line. The result is that users tend to do a lot of shopping, meaning they scan many websites before digging deeper and often return to a site several times during the evaluation phase. SEO – This has an advantage for SEO because the advertiser is not paying per click. The visitor can click on the listing till their heart’s content and it has no financial consequence to the advertiser. See my article titled The ascension model. PPC – When the advertiser pays per click, you want a visitor to click on your ad only once and never leave. This is why it’s always a good idea to have a prominent “Bookmark this page” button on your most popular pages. Search Engine Marketing is extremely powerful and cost effective when done right, and Pay-Per-Click SEM is one of the fastest and most targeted forms of direct response marketing available today. In addition, it has a significant advantage over other forms of direct marketing in its ability to get almost instantaneous feedback, and in the world of direct marketing, feedback and testing are crucial. I have always liked the expression “the more you know, the more you don’t know” and that was never more true than when it comes to PPC. If you have ever looked into direct marketing, you know that it quickly becomes a sea of books, tapes, e-zines, videos, newsletters, seminars, software tools and web sites that are nothing more than online shopping centers designed to string you along through a series of $50 to as much as $1,000 purchases as you become spoon fed on the basic concepts and intricate details. They make more money when you waste money trying to figure it out. How they implement the search engines is their “secret sauce”, their differentiation. You can’t afford to become an expert at search engine marketing, direct response advertising, public relations, ad copy writing, web site design, and a whole myriad of other internet technologies. You just want more qualified sales leads that will result in new business! You want someone to help you determine if search engine marketing is right for you and do it quickly without having to make a large up-front expenditure or a long term commitment. But if it does show promise, then you need to take full advantage of it by choosing the mechanisms that best fit your situation and then connect them in a seamless way with your selling process. After all, the purpose of most forms of marketing is to take the prospect as close as possible to your in-person selling. The balance of using “media” with “in-person selling” will be unique to each industry, every company and even individual products. That’s why you need to consider a variety of marketing mechanisms that will work together to produce qualified leads. My approach is to work with you to determine if this type of advertising is right for your business, and if so, together we will customize it, leverage it, test it to insure it is delivering the desired results, then integrate it into your sales process, and I won’t leave you stranded along the way. As a career sales and marketing person, as well as a degreed engineer, I have the ability to help you beyond AdWords. How competitive your market is, relative to your budget. How your most important keywords have performed across the entire Google system. Yes, your competitors performance for those same keywords is a major component. This has a significant impact on your keyword quality scores and quality score is the biggest factor in determining what you pay per click. Local advertisers with smaller markets and less traffic, find it difficult to break through the system-wide quality scores. Your larger competitors with deeper pockets can afford to spend more and take a longer-term view. The lifetime value of a customer will determine how much you can afford to pay to acquire a new customer. What is the action you want your “visitor from search” to take? Is it a lead or a sign-up that doesn’t require anything more than a first name and email address or is it a $300 sale? Do you have actions visitors can take within the next 30 days, which we can tract, that indicate you are connecting with visitors? If you don’t, you will find it difficult to know what keywords and ad copy are working and which aren’t. These and other factors will play a large part in achieving your goals, yet they are beyond what a campaign manager can control. But let’s focus on your website because it’s so important. In an ideal world, you would build your website with the visitor from search in mind and optimize your website, especially your landing pages, specifically for that type of visitor. You would begin by understanding what I call the “search vocabulary” of your niche markets. These are the words and phrases prospects use when they shop for products and services using search engines. Google calls them search terms or search queries. Not to be confused with keywords. And they might very well be terms you wouldn’t have thought of and don’t appear anywhere on your current website. Visitors from search are a unique kind of prospect. They tend to be cynical, skeptical and have very little patience. From the moment they arrive at your landing page, you have 3-5 seconds to make a connection with them. If you don’t, they will “bounce” and probably will not be coming back. How you create landing pages that are optimized for visitors from search, is called conversion optimization. Examples of actions that can be tracked in AdWords are discussed further down this page. But let’s focus on the search vocabulary and how it relates to your website design. To do this I need to introduce you to a new term called the “search continuum”. It refers to how users search for products and services as they move through the phases of seeking information to shopping and then ultimately buying. Ideally, you want to pay for one click from any given visitor and then they buy from you. Unfortunately, it seldom works that way, especially with search marketing where you have no previous established relationship with the prospect. Unless you are willing to make a considerable investment in a website make-over, having the right AdWords strategy has a lot to do with how your website is designed. I’d like to provide a generic example to make the point. The information seeker who is early in the search continuum, uses generic search queries such as “wagons”. At this point, they want to know what they look like, how they are used and perhaps ball park pricing. The shopper uses search queries that are a bit more refined, such as “wagons for kids”. This user wants to know who makes wagons for kids, what are they made of, what specific products are available and some comparison shopping information, preferably from multiple manufacturers and distributors. The buyer users search queries such as “American Flyer AF-2307”. This prospect is very close to purchasing and will be more interested in price, availability, shipping costs and service after the sale. Each of these three scenarios imply very different conversations with your prospect and therefore very different landing pages and website content. If your website is very product oriented, with pages of detailed specifications and you only represent one supplier, then you shouldn’t be using keywords indicative of the information seeker and perhaps not even the shopper. If you do, you may wind up turning off the visitor or at a minimum, paying for that visitor to click on your ad several times as they move through the search continuum. Your focus should be on prospects much further in the search continuum who are very close to making a purchase. For another perspective on this same basic issue, read my article titled PPC essentials. The degree to which a PPC campaign is implemented will be dependent on several factors, which may or may not be economically or technically feasible for your company. Certain aspects of the campaign management will be performed based on the level of experience and tools the campaign manager has at their disposal. However, in many cases, especially for companies who only have a basic website and a minimal budget for internet marketing, even the best campaign manager will be limited in what they can do, especially when it comes to producing tangible results in the short run. Successful search engine advertising is focused on one very important factor; Return on Investment (ROI) and the primary tool used to calculate ROI is called Conversion tracking. A conversion takes place when a visitor to your website is able to take some meaningful action which can be measured and monetized. If you have no meaningful actions visitors can take that can be tied back to a specific keyword, then you need to construct your campaign and adjust your expectations accordingly. For example, if the action you are looking for from your PPC campaign is to have a prospect call you on the phone, it will take longer to know if your campaign is producing the results you are hoping for and it will be more difficult to optimize. A good campaign manager will begin with a thorough analysis of your web site to determine what, if any visitor actions can be monitored to begin the process of establishing ROI based advertising. In many cases, some important actions already exist, even if it is only the action of visiting a specific page on the site. Other actions may be able to be added without much difficulty or expense such as creating a printable coupon. The ultimate action is to have a visitor actually buy something on your site! However, that implies that your site is capable of e-commerce, which most small businesses that are not web-based, simply are not set up to do. These are all actions which indicate that you have connected with the visitor and you are beginning a relationship, and these actions can be traced back to specific keywords, search terms and ads. Now you have empirical data to know what’s working! Once you and your campaign manager have decided what your site is capable of, web analytics should to be installed. Website analytics allows the tracking of visitor movements and actions while on your site. In addition, they tell you lots of other useful information that can help fine tune your campaign for greater efficiency and improved ROI. Here is an analogy I particularly like…. Suppose your friendly Yellow Pages salesperson said to you, “I’m willing to put any ad you want on as many pages as you want, and the only time you have to pay me is when someone goes to your website”. Would you be interested in a deal like that? Well, that is what Pay-Per-Click advertising is like. You only pay when someone clicks on your ad and is delivered to your web site. And remember what the Yellow Pages salesperson said about “on as many pages as you like”? Well, today if you advertise in the Yellow Pages, you are probably under one or maybe two categories or headings. With Search Engine Marketing, you can be under as many “categories” as you feel are appropriate for your business. These are called “keywords” or “keyword phrases”. Making your website “search engine friendly” is not the same as search engine optimization. There is a really big difference. Your SEO campaign is probably limited to a relatively small number of keywords that are applicable to your business. PPC offers an unlimited number of keywords. What is displayed in the search results is likely a chopped up collection of words from a page on your site. It isn’t a compelling marketing message with a call to action that SELLS! It typically takes 3-6 months for the search engines to identify any changes to your site and then “re-index” your site for the new keywords. Changing or adding keywords with PPC takes a matter of minutes. 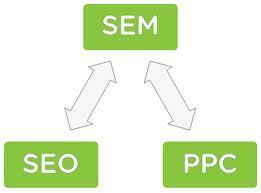 If your serve a national market, then using SEO in conjunction with PPC is a viable strategy. However, if you are a small business serving a local market then SEO alone is limited in what it will do for you. For example, you can’t geographically target the audience unless you include the name of the city in the keyword. If you perform SEO on the keyword “real estate agent”, you are “optimizing” for the entire country and competing against everyone else who optimizes for that keyword. If your employee or contractor is using techniques the search engines forbid, your site could get permanently banned! For many businesses, their brand, company name or web site URL, is very valuable to them and loosing the ability to be found using a search engine would have a traumatic effect on their on-line presence. I can’t count the number of times a prospect has come to me after they have let their web developer create and manage their AdWords account. In most cases the person was very good at web development and said, “sure, I know how to use AdWords”. The thing is, AdWords is deceptively simply, but devilishly complex. Almost anyone with basic computer skills can open an AdWords account and drive traffic to a website. However, doing it in a way that produces an optimal ROI is quite another thing. But for the sake of discussion, let’s assume her or she…. Then assuming they have other duties and their time has value, you will probably be paying them more than I would charge. And if they are not at least as effective as I am, you won’t be getting a good return on your investment! “Where will my ad appear and what will it look like?” While I work with several different “search providers”, by far the most effective is Google AdWords. If you go to www.Google.com and search for a product or service, you will be able to see in a pink shaded area on the top and down the right-hand side of the screen, a list of “Ads”. This is where your ad would appear. Try it, and see what it looks like. Google is the most popular search engine and your ad could appear for as many keywords as you would like. Still think you might want to try it yourself? 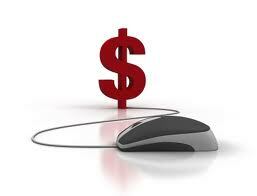 Jump to the page Secrets of Pay-Per-Click! My mentor, Perry Marshall, uses a graphic called The Tactical Triangle to make a very important point about PPC advertising. You can read more about it on his website by clicking here. But I’ll give you the essence of it and add some of my own examples based on working with clients. The reason Perry uses this particular graphic is to 1) show that there are three essential elements of a successful PPC campaign implementation and 2) achieving success requires using an iterative process of testing and improving the things that are most important, hence the 80/20 rule. The three corners of the triangle are Traffic, Conversions and Economics. Unless the advertiser has an appreciation for the entire end-to-end online selling process, they won’t be able to make significant progress in their online business because AdWords is only the Traffic piece. If the advertiser only focus on the mechanics of AdWords, there is a chance the biggest opportunity may be overlooked. You see, AdWords is about what happens, before the click, Conversion optimization is what happens after the click and none of this has any chance of working if the Economics don’t work. Their online business model is flawed. There isn’t enough profit in a product or service to justify PPC advertising. This is the Economics piece of the triangle. They don’t have an appreciation for the mindset of visitors from a search engine. They are cynical, skeptical and have very little patience. They don’t appreciate the inherent “shopping” nature of an online visitor and the associated (ROI) metrics. They haven’t taken the time to understand their online competitive standing. Their website, especially their landing page, is not optimized for visitors from search. The landing page and website are little more than an online brochure. It doesn’t SELL! While you may see several competitors in a market and think you can compete and win, you may not know their unique business model. It’s possible that their entire ad spend and infrastructure could be paid for by another segment of their business. Or they may be willing to lose money in the market you are in, because they have a back-end product line with much higher profit margins. They don’t understand the psychology behind the search query or what’s going on inside the head of the user. A “User” is what Google calls anyone who uses a search engine or visits a website displaying ads. They focus too much on keywords and not enough on search queries. They don’t appreciate that every search query is a market unto itself. They don’t realize that every search query has a unique value to their business. They don’t have a viable bidding strategy. They let their ego get in the way or they have no plan whatsoever. I can’t tell you how many prospects I speak with that simply want to be in the top position”. Big mistake! They don’t understand the importance of keyword matching options or how to use them effectively. They aren’t using Conversion Tracking or web analytics so they don’t know what is working and what isn’t. They are flying blind! They don’t appreciate the difference between search advertising and display advertising. They don’t understand the significance of ad groups and how to construct them properly. They are intent on using certain AdWords features, but don’t really understand how to use them properly. How many ad impressions will it take for you to get a click; your CTR? If your CTR is not at least 1%, you have a problem! What will you have to pay for a click; your Avg. CPC? How many clicks will you have to buy to get a lead; your CPA? How many leads will you need to make a sale; your cost per sale? What can you afford to spend to get a new customer? Do you know the lifetime value of a customer? If you don’t have the answers to these questions, it will be difficult to truly optimize an AdWords campaign. Is any of this hitting home? If so, perhaps we should talk. No two AdWords accounts are exactly alike, but all go through several distinct phases. Each phase requires different tools, skills and level of effort. Like most professionals, I have developed a repeatable process that works for me. Other agencies that offer PPC campaign development and on-going management may have a different process. There is no one single way to achieve success. When you retain my services, I like to think of it as a journey we go on together. The journey will take us through different phases. The amount of time we spend in each phase will be unique to each client. Where have you been? – There is no better information on which to base your AdWords account design, than the data that already exists in your AdWords and Analytics accounts. It’s simply a matter of devoting the time required to mine it, organize it and analyze it, before we begin making adjustments to existing campaigns or designing new ones. Where are you now? – The history in some accounts can go back over many years. While it is usually relevant data and can be a source of valuable information, it may not represent how well your account is performing at the point you engage my services. I usually focus on data for the last 30-90 days to get an accurate assessment of the account’s current performance. Where do you want to go? – I often bring to light a considerable difference between how the client’s AdWords account is performing, verses how they think it’s performing or want it to perform. Here is just one example. Most novice AdWords advertisers don’t have a good grasp of keyword matching options. When this happens, it usually means they are spending a considerable amount of their budget on poor quality visitors (clicks) and sending prospects to inappropriate landing pages. When this is brought to light, the client usually has a much better idea of what they want or don’t want. How do we get there? – Critiquing an existing AdWords account is relatively easy. Building new campaigns and modifying the client’s website so everything works together and reaches its full potential is the difficult part. I’ll get into more specifics further on in this post. How do we make it better? – If you are not thinking about how you can do better, you are probably falling behind. Google is always changing their algorithms and policies, your business changes and competitors come and go. Nothing stands still. Here is how I describe each phase of the process. The Start-up phase is devoted to building a solid foundation for the process that will be used to develop and manage your account. It involves my gaining a certain amount of knowledge about your company, your markets, your products and/or services, as well as your objectives. Think of me as the newest member of your sales and marketing team. You will be making an investment in how well I am able to serve your organization and its goals. The length of time spent in the Start-up phase is largely dependent on the size of your existing account, your objectives for expansion and the level of your involvement. If you have an existing AdWords account with one or more campaigns, I will review the account to determine whether we continue running the existing campaign and rebuild it over time or create a new campaign from scratch. In most cases, I build new campaigns and simply pause ad groups in the existing campaigns as new ones are built. Assessment of you Google Analytics account if you have one or helping you set one up if you don’t. If you have an existing AdWords account, it will take a minimum of two hours and possibly much more for me to assess your account and create the initial work plan. At this point, we will discuss the list of priorities and how much of the work you would like to do yourself. If you choose to do some of the work and have me coach you, please understand this will slow the process, but in the end, it also makes you more self-reliant. Whether we decide to remodel your existing campaign(s) or create new ones, I’ll need to have the widest possible view of your existing account and your immediate plans for expansion. Having the optimal account architecture reduces the chance of overlap, inefficiency and redundancy. Because my business model has no binding contract, the onus is on me continually deliver value. This is why I have a collaborative approach. My approach is to focus on delivering as much value as I can in the shortest amount of time. Therefore, I will usually choose one campaign and one or two ad groups to deploy so that you get a sense of the process and see the results as soon as possible. During the early stages of the engagement, the results usually come in the form of reduced expenses because of the reduction in poor quality visitors, higher click-through-rates (CTR), increased quality scores and lower cost-per-click (CPC). Once I have a better understanding of your industry, your markets, your products and services, I can usually identify additional niche markets you previously hadn’t encountered. Most AdWords advertisers are acutely aware of how the Google AdWords policies have evolved over the past few years. The changes have been frequent and significant. Some are so much so that it has rendered entire businesses “out of business” literally overnight. I mention this only to exemplify the importance of keeping up with these changes and being proactive whenever possible. Perhaps the best example of AdWords policy changes can be seen in your keyword and landing page quality scores. I could go on at length about quality scores and how to optimize them, but the focus here is on what you can do to improve your chances of getting higher quality scores and lower CPCs. Once I have had a chance to review your account, create the architecture and built the first few ad groups, I will be in a position to make recommendations on what website modifications you can make to improve your quality score ratings and optimize for conversions. This usually involves developing new custom landing pages. Most advertisers can’t appreciate the importance of or the amount of time required to fine-tune a campaign once it’s been launched. No one ever get’s everything right when a new campaign or ad group is first launched. When the initial campaign is launched, default bid prices are used, which amount to little more than a guess as to what the bid price should be in order to receive the desired ad ranking for each keyword. It’s simply not practical to research bid prices for what could be hundreds of keywords prior to launch. In the beginning it will be necessary for me to monitor and make adjustments several times a day and then it tails off over time. The amount of time this requires depends on the number of keywords, ad groups and campaigns in your account. Each keyword is unique and is actually a “market” unto itself. Therefore, until the keyword is actually searched on and your ads receive “clicks”, you can’t be sure where your ad will appear in the ranking or how much you need to bid to obtain the rank that is appropriate. Some keywords are simply much more valuable to you than others. It is an iterative process and the two most important factors are 1) how much traffic your campaign receives and 2) how much time I have to work on it. There are many factors that determine how long it takes before all the important keywords in a campaign settle into their desired ad rank. Besides adjusting keyword bid amounts, a competent campaign manager continues to research new keywords, identify new competitors and tests new ad copy. The fine-tuning phase can last anywhere from a few weeks to several months, depending on the amount of traffic and market dynamics. PPC advertising is an extremely dynamic environment and it can take several weeks to get to the point where it is performing to its full potential, and that assumes that the client has not introduced any new factors such as a new product, service or geographic market. When a campaign manager builds the initial campaign, it is only the beginning of a process that is never-ending. Never-ending in the sense that the campaign will never be perfect and there are factors that are changing all the time. However, when the campaign does reach a stage where it is felt all the appropriate keywords have been included, the ad text has been optimized through split-testing and there are no new business initiatives, the campaign can be considered “Mature”. This requires considerably less effort and this is reflected in the on-going effort to manage the account. Some client’s chose to end our formal relationship at this point. Others manage the account themselves and keep me on retainer in the event they require assistance and others have me take full responsibility for managing the account going forward. There are as many options as you can think of. That’s one of the benefits of my business model. Total marketing spend is not growing at most companies, and marketers are working hard for every dime in their budget. To accommodate new ideas, most have to reallocate money from other programs, going through a justification and lobbying process that can seem more like high level diplomacy than marketing. What are some effective strategies to help you lobby for your search marketing budget? A panel of experts shared some advice for both search marketing agencies and internal marketing professionals at Jupiter Media’s Search Engine Strategies Conference in Chicago. Applying these eight strategies will help you make a more persuasive case to management and convince them that search engine marketing is a priority and will be money well spent. One of the first rules of marketing is to find an internal champion. The same holds true for search marketing. Rob Gaudio, Director of Client Services at MEA Digital, emphasized the importance of finding an executive sponsor and educating them on the unique benefits of search marketing. Ideally your champion would be a senior-level decision maker or the company owner. As part of your pitch, present market facts and data to illustrate important findings, such as how search marketing 1) builds brand awareness, 2) generates more qualified leads than other forms of online marketing, and 3) delivers a superior ROI. Nothing motivates action like seeing your #1 competitor at the top of the results page while you’re nowhere to be seen! Tony Wright, VP of Media – Interactive Marketing at Zunch Communications, explained the benefits of showing decision makers — through screen captures or other illustrative data — who IS showing up in relevant search results, in both natural listings and paid ads. Make a solid case for your campaign by quantifying the possibilities. Bill Hunt, a search strategist from Global Strategies International and head of IBM’s Search Effectiveness Team, urged marketers to quantify the missed opportunity. Start by estimating the total number of relevant searches conducted using tools such as WordTracker or Overture’s Search Term Suggestion Tool. Then show management how many impressions, likely visitors, and conversions you could achieve if your company was prominently displayed for these searches. Recommend an initial limited test to minimize risks. Consider a small pay-per-click program, which will allow you to effectively demonstrate concrete results as well as the control you have over the campaign. Focus on only one product group, service offering, or location, or advertise with only one ad network. Your test will become an effective advocacy tool when you lobby for additional money. One of the advantages of pay-per-click advertising is that you can manage a campaign to ensure various goals. Make sure leaders know that you will not exceed agreed upon spending limits. Better yet, guarantee a maximum cost-per-visitor or cost-per-conversion. Formulate your search engine marketing proposal in terms of real business results. Instead of talking about impressions, keywords, bids, and click-through rates, frame your plan in terms of prospects, leads, sales, and customers. Susan Bowman, Manager of Web Producers & Analytics at PeopleSoft Corporation, explained how she uses a sales funnel to estimate and quantify the following results: website visitors, online leads, action takers, customers, and sales. The best way to justify your budget is to clearly show business value. Expand your search marketing plans beyond your immediate work team. Sell the benefit of search marketing to your peers and colleagues. Form a cross-functional team to promote and manage a larger effort. The more people you have committed to the success of your campaign the better. Lastly, if you’re already working with an agency or search marketing consultant, solicit their help quantifying and selling these ideas. Agencies have the means to gather market data, conduct a competitive assessment, estimate results, and formulate a compelling proposal. In today’s economic climate, it’s difficult to secure new marketing funds, but search engine marketers may have an advantage. In the area of pay-per-click advertising, marketers should capitalize on the fact that campaigns can be built according to precise metrics — limiting costs, guaranteeing ROI, and minimizing risk. Remember, search engine marketing is a relatively young discipline and helping people understand the possibilities is important if new opportunities are to be seized! As the capability of the World Wide Web grows, so does the confusion for many small businesses that are anxious to have a web presence, but are uncertain how to proceed. The entire process is somewhat of a mystery, only a few years ago many people never heard of the web. The terminology is unfriendly (HTML, CGI, Java, and meta tags are some of the easier jargon). But most of all, the choices are dizzying. Database driven? Audio streaming? Image mapping? The first step in all cases lies in understanding “Why the Web”? In too many cases, companies and organizations develop a web site for the wrong reasons: their competitor has one or a web design firm has offered to give them a special deal or they just don’t want to be left behind. The right reasons to take the web plunge are as different as individual businesses themselves. In many cases, the initial idea is simply to provide an electronic version of the company’s brochure. Bad idea! However, the menu of possible web applications for small businesses is ever expanding and includes; advertising your business, communicating with suppliers and employees, publicizing specials, updating mail lists, managing collaborations, providing public access to searchable databases, cost effective distribution of newsletters and other publications, marketing fee-based services, creating organizational photo galleries to establish a more personal relationship between the company and their customers, enhancing media relationships, archiving Frequently Asked Questions that would otherwise consume employee resources, and creating the control center for an integrated Internet strategy. As technology advances zoom forward, new possibilities are constantly emerging. This less than comprehensive list offers the best reason why web development requires careful thought and deliberation in order to tap the power of the “Net” to maximum effect. The opportunities are so vast that they usually stretch the imagination and require rethinking not only of the initial conception of a web site (often the electronic brochure) but in some cases a revisit of the organization’s whole strategic plan as well. A good web plan will pose challenging questions about an organization, its administrative operations, the way it delivers products and services to its customers, and even how it defines its markets. There can be no cookie cutter approach to web planning and I cannot begin to touch on all the relevant issues here. However, the following 10 guidelines are designed to help a small business create a web site that they truly “own” and that delivers real value to its intended audience without straining its internal capacity. Ask around. Look at lots of sites: competitors, customers, suppliers, companies in related businesses. Make lists of content, features, and design elements you like and don’t like. Look at things like the location of the navigation bar, color schemes, and the use of animations. Involve the whole staff and colleagues. Bookmark a list of favorites as models. Make a commitment to control the web design process. Don’t delegate decision-making to outside consultants. Who is included in your world: customers, prospects, suppliers, employees, trade organizations, the media, sister organizations, partners, advocacy groups? Do they have computers? Are they online? Do they actively use the web? Might they — if your website offered sufficient incentives for them to do so? Who are you not reaching now? Review the above list of applications and continue to look at other web sites to find features that you would consider incorporating into your web site. Don’t worry about cost — yet. Treat this as a brainstorm session and make it an agenda item for a staff meeting or retreat. Inventory the content you already have available in digital format or plan to develop in the future. This includes a description of your business, products and services you offer, frequently asked questions, success stories, customer testimonials, how-to’s. Does it cluster into categories? Note any obvious holes in your organization’s story. This is also a good time to consider your need for other Internet tools since you may want to integrate them into your web plan. For example, you may want to allow people to subscribe to your mailing list through your web site. In addition, make sure that you coordinate your online and print media design strategies. Whatever you do, don’t wait until your site is launched to start thinking about how you will manage it. Websites require significant tending: adding new content, updating and revising old content, evaluating usage, responding to information requests and feedback, managing the demands of a higher profile — both good and bad. Think about the right balance between static information (easier to maintain but doesn’t generate repeat traffic) vs. dynamic information (serves as a “carrot” but adds an administrative burden). Building in-house capacity to do your own web design is a definite option for some organizations depending on staff know-how and interest. But be prepared for turnover — especially among your more technically savvy employees. Make sure that your web design and management is not dependent on a single individual. 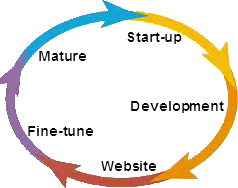 Most organizations will choose to out-source their web development. If you have the funds to hire a web designer, look for experience working with small businesses. Ask for recommendations from colleagues whose web pages impress you. Ask lots of questions. Specific issues to address in advance include design capability; web hosting arrangements; license or monthly maintenance fees; ownership of the site, design, and content; usage analysis; and ease of migration in the event the site needs to move to a different host. Now is the time to turn a critical eye to your Wish List. Identify special features such as audio or video streaming, web-based conferencing, “splash” pages, electronic slideshows, online searchable databases, Geographic Information Services (GIS) mapping, heavy graphics or animations. Here you will need expert advice on the implications for cost, user capacity to handle advanced applications, loading times, and management requirements. An innovation in web creation now provides for the entire site to be designed as a database. This approach simplifies site administration enormously (it’s all done through “fill in the blank” templates) but the trade-off is higher development costs and less flexibility in design. Always plan for future growth. Even if you are not prepared to add advanced features at the outset, they can be phased in over time. The single biggest error companies make is to try to mirror their organizational chart on their web site. Boring! “Capturing eyeballs” on the web requires a drastic reorientation to the point of view of a typical overburdened web user (think of yourself, for example). What information will they be looking for? What resources will attract their eye and motivate them to click through different sections of your site? Make sure the “gems” are easily accessible from your home page and not buried three clicks deep. Label the various sections (especially your main navigation bar) clearly and accurately. Using shorthand such as “About Us” or “Feedback” is better than cutesy names that may confuse. Make your site as interactive as possible. Give folks something to do: sign-up for a mailing list, download a white-paper, print a coupon, respond to a poll, take a quiz or best of all, buy something! And this exercise is not only useful for your web site; it can provide you with a whole new perspective on marketing your organization as well. As you prepare text for your web site remember that people “read” the web in a way that is completely different from the way they read print media. In fact, according to Jacob Nielson, the guru of web usability, most people don’t read web pages at all; they scan them. According to a recent study, 79% of web users scan any new page for individual words and sentences; only 16% read it word-for-word. The implications? Neilson suggests using highlighted keywords, sub-headings, bulleted lists, one idea per paragraph and half the word count (yes, half!) of conventional writing. As for graphics, be creative but be careful of using too many “bells and whistles”. They can take a long time to load on older computers. When in doubt, keep it simple. If you plan to implement Search Engine Marketing (SEM) to promote your web site, especially Pay-Per-Click (PPC) with the ability to deliver a visitor to a specific page on your site, depending on the keyword phrase they use, then having multiple landing pages will be an important aspect of your overall plan. In my business for example, if a searcher uses the phrase “internet advertising” chances are that they are just beginning to appreciate the possibilities of having an on-line presence. On the other hand, if they were to search using the word “ppc”, that indicates that they are not only familiar with SEM, but they also know a specific implementation of SEM, that being PPC. Knowing who will visit your site and how they got there is a key element of success. The last guideline mirrors the first but bears repeating. Throughout the process, make sure that your company is in the driver’s seat. If you work with consultants, ask lots of questions. If things don’t make sense, get second opinions. Don’t be sold on flashy features you don’t need. Above all, see this as a strategic initiative, not just an add-on activity that can be easily delegated to one person — either inside or outside the organization. A thoughtful web planning process is a unique opportunity to gain a fresh perspective on your business. Once you “own” the vision, the site will truly be your own. Who should see your ad? Why use custom landing pages? Why choose Search 2 Sales? What is the right relationship?